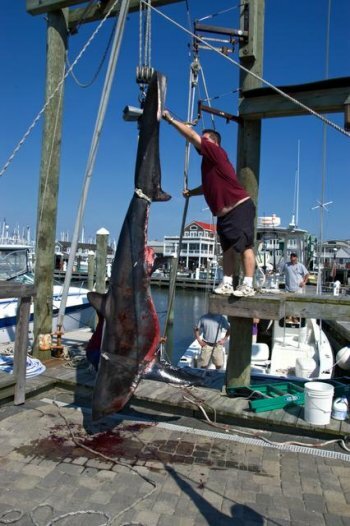 This is one of the largest shark tournaments in the Mid Atlantic region in Cape May. The tournament is expected to have $300,000 in prize money. It begins June 11th and ends June 14th at South Jersey Marina, Cape May. If you are interested in trying your luck the fee is $525.00 per boat. For more details dial: 609.884.2400. This entry was posted on Saturday, June 13th, 2009 at 8:12 am	and is filed under Uncategorized. You can follow any responses to this entry through the RSS 2.0 feed. Both comments and pings are currently closed.